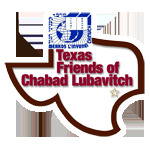 Customs for a new Sefer Torah - Collected from the letters and talks of our Rebbeim - Chabad Lubavitch Center - Texas Regional Hdqrtrs. 1. "Set the time for a meritorious day" it is proper to set the celebration for a day of segulah close to when the time to complete the scroll has come. 2. From the two synagogues requesting to welcome the Sefer Torah, the Written Torah should be welcomed by a synagogue where the Oral Torah is learned within. 3. A few days before the completion of the Sefer Torah and the bringing of it to the synagogue, announcements are made in all the synagogues of the city that: on such and such a day, there will be G d willing, a completion of the Sefer Torah and the bringing of it to the synagogue; and all congregants are invited to come to give honor to the Torah when it is being carried to the synagogue. 4. Do not use "Ksav Ashuri" for the invitations printed [for the celebration for completing and welcoming the Torah]. Also it is questionable if letters with "Tagim" should be used at all. 5. The "Atzei Hachayim" of the Sefer Torah should be made specifically of wood (and not iron). 6. Surely, the mantle etc. for the Sefer Torah should also be prepared. Also appropriately prepare as the custom is for generations the "Yad" from silver etc., and also a "Keser". 7. The Luchos as a design on the mantle etc. should be depicted square. 8. There are those who place effort that when the mantle and sash for the Sefer Torah are sown, they take extra material (of silk) than what is necessary, and before sowing, small pieces are cut from the extra material (for the children, at the time of the Sefer Torah's welcoming as mentioned in custom 22). 9. The day of the completion is a holiday on which tachnun is not said. 10. Chassidim and men scrupulous in their deeds go to Mikvah on this day before the prayers. 11. During the prayers, candles are lit in the Synagogue. 12. Dress in Yom Tov clothes. 13. It is customary among all Jews to sell the "letters" (for the benefit of the synagogue or general charity). Still appropriately check the local custom, especially among those who fear the word of G‑d and adhere to His commandments. 14. After finishing the order of the completion with the sewing of the parchment, lift the Sefer Torah (Hagbah). 15. Afterwards wrap the Sefer Torah, tying its sash and mantle, adorn it with the "Yad" and "Keser". 16. At the time of completing the Sefer Torah and bringing it to the synagogue, every action of honor, and the most scrupulous of honors, made [in the honor of the Torah] is beautiful, praiseworthy and holy. 17. After finishing the order of the completion the celebration of the procession begins, made generally with a multitude of people and great fanfare. 18. Carrying the Sefer Torah and bringing it to the synagogue is a general celebration for all to participate in for the honor of the Torah, including those which for various reasons (as accustomed among the laymen with regards to honor and the like or jealousy and sinah) who do not want to participate in the conclusion of the Sefer. 19. The procession even if it is done inside the synagogue is with a canopy and lit candles; with song and musical instruments with great joy. 20. Emphasis should be placed to allow all Jews, men, women and especially the children, to kiss the Sefer Torah's mantle at the time the Sefer Torah is being carried to the synagogue. It is a segulah for health and long life. 21. There are those who bring their children still in the cradle to a position on the processional path of the Sefer Torah, so to merit placing the Sefer Torahs mantle on the childs face. 22. There were those who, when the children would kiss the Sefer Torah, the parents would purchase a small piece of the (silk) material used for the mantle of the Sefer Torah (as a protection for the child, with pure faith in the segulah hidden and concealed in beautification of a mitzvah). 23. When preparing to enter the synagogue, the gabbai (warden) of the synagogue, his deputies, and the cantor of the synagogue, open the ark and take out the Sifrei Torah. 24. Before the ark is opened, the cantor says Sifrei Torah, you are requested by all; the holy community; the congregants of the synagogue; to trouble yourself and to go welcome the Sefer Torah which so and so has merited to write and to bring in to this synagogue in a good and successful hour. 25. Announce the verses of "Ato Horaysa" as on Simchas Torah. 26. When the verses of "Ato Horaysa" are completed (including "Av Harachamim") on Simchas Torah the Chabad custom in recent years add afterwards the verse: And your seed shall be as the dust of the earth, and you shall gain strength westward and eastward and northward and southward; and through you shall be blessed all the families of the earth and through your seed. 27. When the verses are completed, seven hakofos are made [while saying the proper verses], and during each hakofoh they would dance with the Sefer Torah with obvious joy as on Simchas Torah. 28. Do not remove the "Keser" from the Sefer Torah for the dancing (for fear of it possibly falling). 29. When the seventh hakofoh ends, say Rejoice and exult in the rejoicing of the Torah, and while saying this passage an eighth hakofah is made. 30. After the hakafos Yehallelu is said, all the Sifrei Torah are placed in the Aron Hakodesh. The Oleinu and Mourners Kaddish is said. 31. At the conclusion of the order of completing the Sefer Torah, celebrate with a festive meal in honor of the Mitzvah, at times with various "mezonot" and drinks alone. 32. The custom is for the celebrant to wear a new garment or to eat a new fruit and make the blessing "Sheyechiyanu" [aloud]. 33. During the festive meal talk words of Torah, and words of inspiration to set fixed times for [study of] Torah, dissemination of Torah with the awe of Heaven, and strengthening of those who learn Torah. (At the time of the completing of the "Moshiach's Sefer Torah", the Chassidic discourse which begins with the words, "To comprehend the concept of writing a Torah" was said). 34. Excerpt of a letter of the Previous Lubavitcher Rebbe, o.b.m. : "At the time of the rejoicing with the joy of the Torah & extend to them [the participants] my blessings of Mazal Tov, and may the Holy One, blessed be He merit us to rejoice with the joy of the Torah together with greeting our righteous Moshiach speedily, Amen, Kein Yehi Ratzon". 35. Excerpt of a letter of the Lubavitcher Rebbe, o.b.m. : "This Mitzvah is the completion of the 613 commandments of the Torah, and there are those who make the connection with the end of the period of Golus". Where Judaism is not just a subject, but a way of life! Thousands of titles for children & adults in six languages.